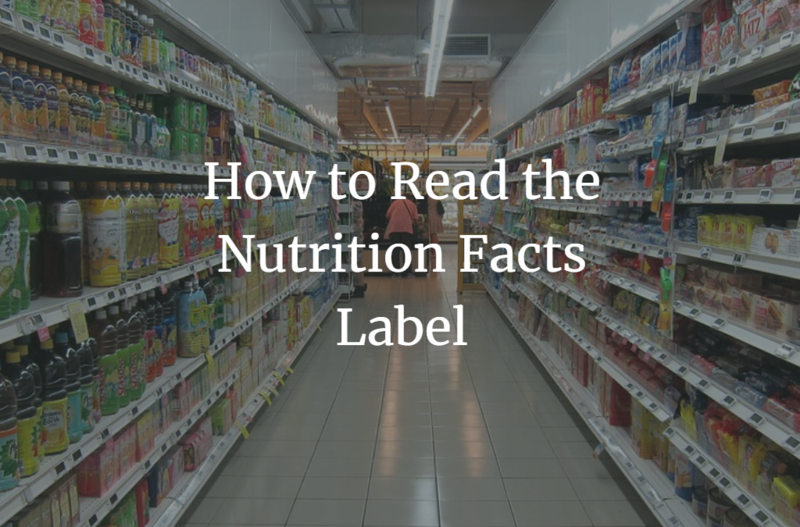 The Nutrition Facts label is on the side of most packaged foods. It’s often found close to the ingredient listing. Whether you like the Nutrition Facts label or not, it’s a valuable tool to help you make better choices when shopping and choosing foods. Here’s my four-step crash course on reading the Nutrition Facts label. The absolute most important part of the Nutrition Facts label is to note the serving size. Manufacturers often strategically choose the serving size to make the rest of the table look good. Small serving = small calories/fat/carbs. So, it’s tricky. In Canada and the US, dietary guidelines are updated every 5 years. With this last update, serving sizes became more consistent between similar foods to make it easier to compare foods. 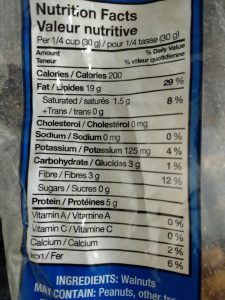 The new labels were also supposed to have more realistic serving sizes to reflect the amount that people eat in one sitting, and not be artificially small. This isn’t always the case. As an example, I was strolling the bakery section of the grocery store and chose a cookie sandwich. The cookie was normal sized, less than 3″ in diameter. The label said the small dessert was 400 calories per serving. Yup, per serving! I read the label again: the cookie sandwich yielded 2 servings. I don’t know anyone who is going to split a 3″ cookie. Moral of the story: always read the fine print. 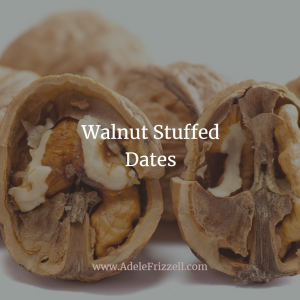 Let’s use another example – plain, unsalted walnuts from Costco. NOTE: Not every nutrient has a %DV. If something is missing, it’s because there isn’t an agreed “official” %DV for that nutrient. Protein is one example. The good news is that the new Nutrition Facts table includes a %DV for sugar. Calories are pretty straight forward. In the nutrition label above, a ¼ cup (30 g) of walnuts has 200 calories. I hope this crash course in the Nutrition Facts table was helpful. Do you have questions about it? If so, leave me a comment below. Do you like learning about nutrition? Want to learn how to eat in a way that is healthy and sustainable and supports your body composition goals? This is the kind of information I share in weekly lessons with my coaching clients. For more information about my programs and services, please click here.